Google’s Cloud service just got a little easier to use. Today, it announced Google Cloud Launcher which makes it easy to deploy applications like WordPress or entire stacks like LAMP in a single click. The new launcher features more than 120 open source applications that are either configured by Bitnami or Google Click to Deploy. You simply need to select a piece of software, choose a few options and it’s up and running. It also includes a number of developer tools and setups like Gitlab, Jenkins, Node.js and Ruby on Rails, along with databases like MongoDB, MySQL and more. Cloud Launcher will also ensure these packages are integrated with Google Cloud Monitoring so you can get performance metrics from your installs. 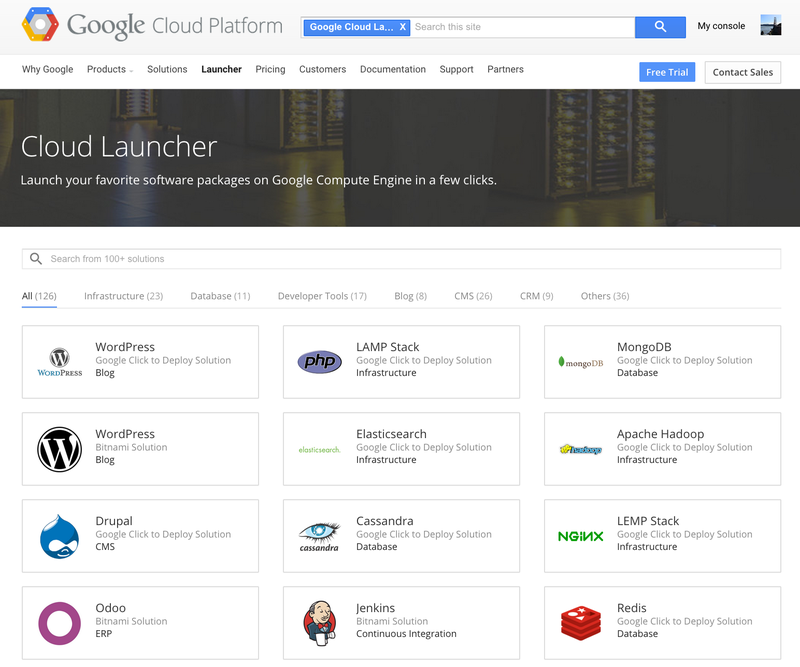 Anyone can use Cloud Launcher from today with the Google Cloud platform.